Where to travel in Canada for the best outdoor adventures and wildlife with a focus on the Rocky Mountains in Alberta and British Columbia. You’ll find unusual hikes and off-the-beaten-path parks like Castle Provincial Park, one of the best places to spot bison in the world and to look for dinosaur bones! Whistler in British Columbia, Canada is one of the largest skiing areas of North America and one of the most popular skiing destinations in the world. This is definitely one of the best places to visit if you are around Vancouver during the winter months if you enjoy this sort of adventure and seasonal sports. If you could only visit one city in Canada, visit Vancouver! It's my favourite city in the country. Nature and outdoor lovers will find so many points of interest. If you could only visit one city in Canada, visit Vancouver! It’s my favourite city in the country. Nature and outdoor lovers will find so many points of interest. Writing-on-Stone is a provincial park in Alberta that's home to the largest concentration of aboriginal rock art in North America and some stunning Hoodoos! Writing-on-Stone is a provincial park in Alberta that’s home to the largest concentration of aboriginal rock art in North America and some stunning Hoodoos! 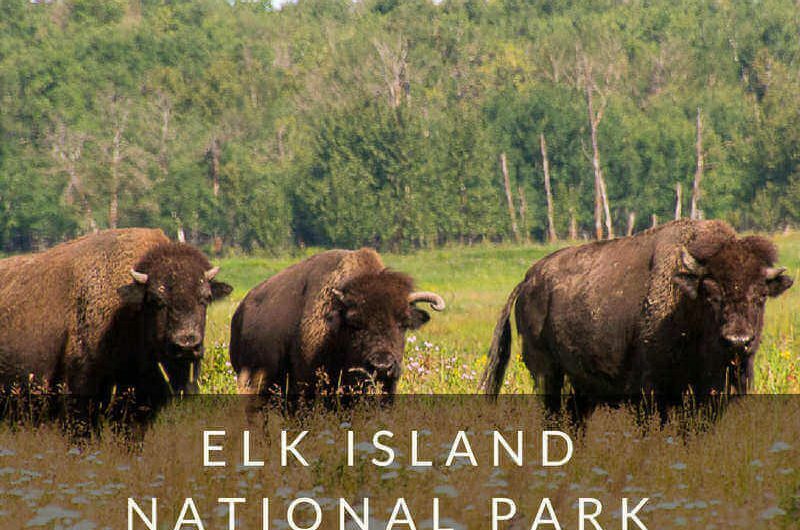 Elk Island National Park: One of the Best Places to See Bison! Elk Island National Park in Alberta is not only one of the best places to observe bison on the entire planet, it's also only second to the Serengeti in numbers of hoofed wildlife! Elk Island National Park in Alberta is not only one of the best places to observe bison on the entire planet, it’s also only second to the Serengeti in numbers of hoofed wildlife! You'll love hiking in the Canadian Badlands. Not only is it the dinosaur capital of the world, but there are also other-wordly formations known as hoodoos. It's a unique hiking experience. You’ll love hiking in the Canadian Badlands. Not only is it the dinosaur capital of the world, but there are also other-wordly formations known as hoodoos. It’s a unique hiking experience. Frank Slide: The Most Unique Hike in the Canadian Rockies! Frank Slide was the deadliest rockslide in Canada's history! Today, the hike up Turtle Mountain in the Crowsnest Pass will appeal to adventurers. Frank Slide was the deadliest rockslide in Canada’s history! Today, the hike up Turtle Mountain in the Crowsnest Pass will appeal to adventurers. Myra Canyon in Kelowna, British Columbia is a a scenic cycle route along an old railway with 18 bridges and 2 tunnels with views over the Okanagan valley! Your adventure guide to Castle Provincial Park in SW Alberta. You can hike and paddle without the crowds. It's also an ideal place for wildlife spotting with 59 mammal species! Your adventure guide to Castle Provincial Park in SW Alberta. You can hike and paddle without the crowds. It’s also an ideal place for wildlife spotting with 59 mammal species! Okanagan Lake is famous for water sports, like water skiing, but treasures also lie below the surface as I discovered on a wreck dive of a rail car barge! Western Canada, with it's bounty of superb mountains, abundant wildlife and wide-open spaces, holds great appeal for travelers looking for a unique Canadian adventure. Western Canada, with it’s bounty of superb mountains, abundant wildlife and wide-open spaces, holds great appeal for travelers looking for a unique Canadian adventure. Did you know the Columbia Icefields are thicker than the Eiffel Tower and about the same height as the Empire State Building? Or how about home to one of the world's only triple continental divide? 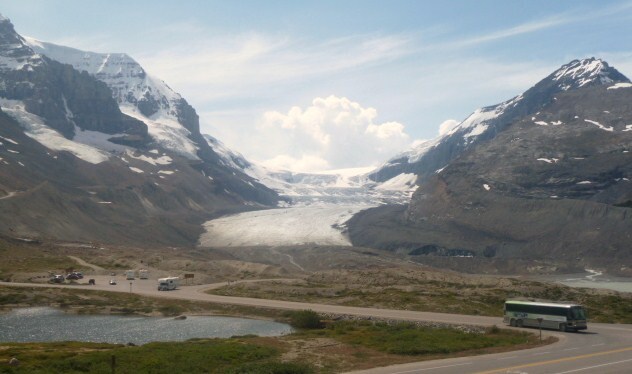 Did you know the Columbia Icefields are thicker than the Eiffel Tower and about the same height as the Empire State Building? Or how about home to one of the world’s only triple continental divide? Grizzly bear viewing is at its best at Lake Louise. Even if you don't see a bear the scenery is incredible. Grizzly bear viewing is at its best at Lake Louise. Even if you don’t see a bear the scenery is incredible. See why Lonely Planet rated Sunshine Meadows the #1 hike in Canada. As I get ready to head back to Canada for a vacation, I see some of the day to day differences between life in Canada and Germany and realize I am excited to go back to Canada.